Welcome in our website. On this page we have solved and posted Wordscapes Daily Puzzle April 19 Answers. Wordscapes is one of the best mobile games for both Android and IOS devices and it has a daily puzzle section. Solving the daily puzzle will make you earn some coins to be used in game levels. Below you can find the answers. I encourage you to write me a comment below and tell me if this answers were accurate. I will be happy to assist and help you if any of the answers does not work. 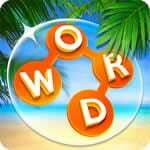 If you need other daily answers check here main page for Wordscapes daily answers.